In Michigan, thirty (30) percent of traumatic brain injuries are sustained in car accidents. If you have been involved in an auto accident and have (or might have) sustained trauma to the brain, it is absolutely imperative that you understand your rights under Michigan Auto No-Fault Law. In many cases, closed head injuries will cause more damage, because the internal swelling and bruising which occurs as a result of the damage may have adverse consequences on other portions of the brain as well. When you sustain these injuries, there are many rights and benefits to which you are entitled, especially if you were in a motor vehicle collision. The most important benefit is the no-fault allowable medical expense benefit, which includes not only payment for the hospital bills and the doctor bills but also the cost of comprehensive rehabilitation, in-home attendant care rendered by family, friends, and/or commercial agencies. You and your loved ones should know that there are vast number of organizations and resources dedicated to helping you on your path to recovery from a traumatic brain injury. With multiple offices, our Lansing personal injury attorneys and Grand Rapids personal injury lawyers have worked with clients who experienced trauma to the brain from auto accidents throughout Michigan. This experience allows us to share a number of tips and best practices with you, so you may be in the best position to recover from your injuries. If I’ve been involved in an auto accident in Michigan and think I might have a traumatic brain injury, what should I do? Seek immediate medical attention. If you are unable to drive, call 9-1-1; an ambulance will take you to the closest hospital for evaluation and treatment. If you can drive after your auto accident, we recommend that you head directly to the emergency room. DO NOT WAIT to receive treatment, and do not go home to “sleep it off.” Even though some symptoms might not manifest until later on, it is important that you seek attention as soon as possible after your crash. The doctor who evaluates you in the emergency room may refer you to your primary care physician for follow up. loss of consciousness (no matter how brief). Follow your doctor’s course of treatment. Once you have been diagnosed with a TBI or other type of brain injury as a result of your accident, you will begin the road to recovery. Your doctor may refer you to specialists so you may get the specific care that you need in order to treat your injury. While things might not be easy, it is in your best interest to comply with the treatment plan set forth by your medical providers. Keep in mind that your brain injury may also have an impact on your cognitive and emotional well-being, so various treatment options may be geared towards those aspects of your recovery. Visit our website dedicated to Michigan No-Fault Law for additional information about allowable expense no-fault PIP benefits. 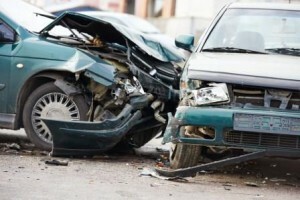 Contact your insurance company about the accident as soon as possible. Everyone who is injured in a car accident in Michigan must report their injuries to their auto no-fault insurance company within one year of the date of the accident. Brain injuries may be different, especially if it’s a closed head injury, such as a concussion or other traumatic brain injury. Since brain injuries may not manifest immediately (as opposed to a more obvious physical injury), it’s best to report any and all symptoms or observations you have to your no-fault carrier, just to be on the safe side. Failing to report your injury within the time allowed by statute may result in you losing your right to no-fault PIP benefits. Since so much is on the line, you may wish to contact a personal injury law office with experience successfully litigating these types of claims. Contact lawyers who have helped car accident survivors with brain injuries for over 60 years. Based in Lansing and Grand Rapids, our personal injury attorneys have helped countless individuals gain access to benefits wrongfully denied by their auto insurance companies. Our clients have gone on to receive the proper treatment and medical care they needed in order to continue their recovery. Contact a lawyer today for a free, initial consultation to learn how we may help you or your loved one.